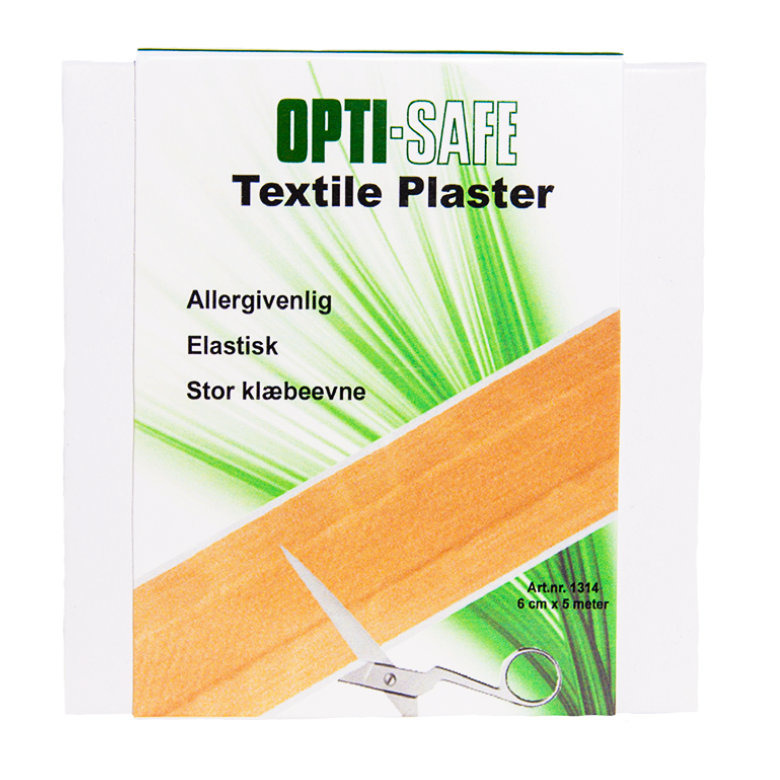 First aid Products | Hpp Europe - Puhtautta ja suojaa elämän tarpeisiin. BurnFree is a water-based gel containing therapeutic and disinfecting tea tree oil. The gel cools the area of the injury, thereby relieving pain, preventing the spread of the injury, reducing the formation of blisters and improving the healing. Gel for fast first aid! 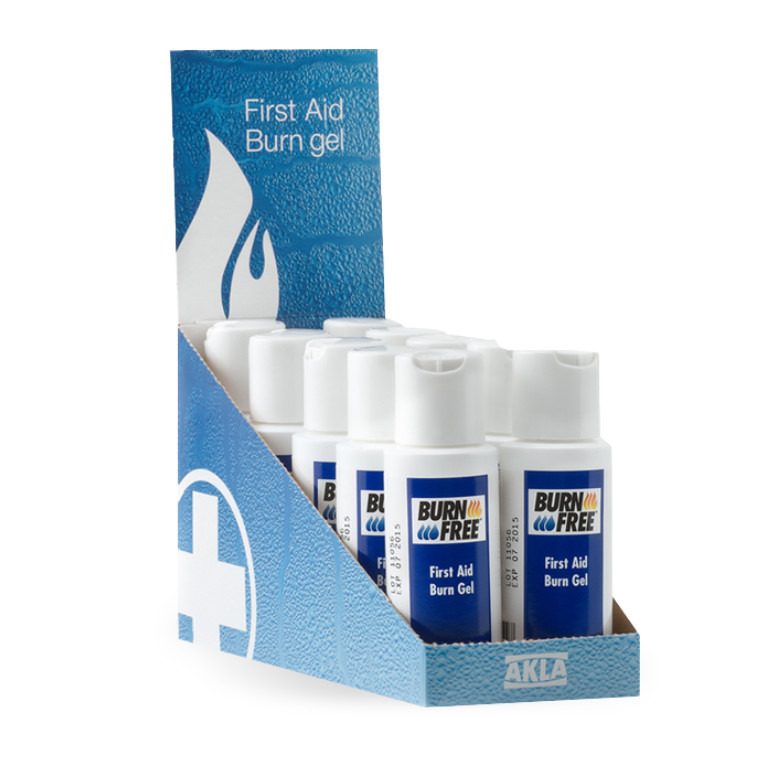 The BurnFree gel is an excellent choice for fast first aid. 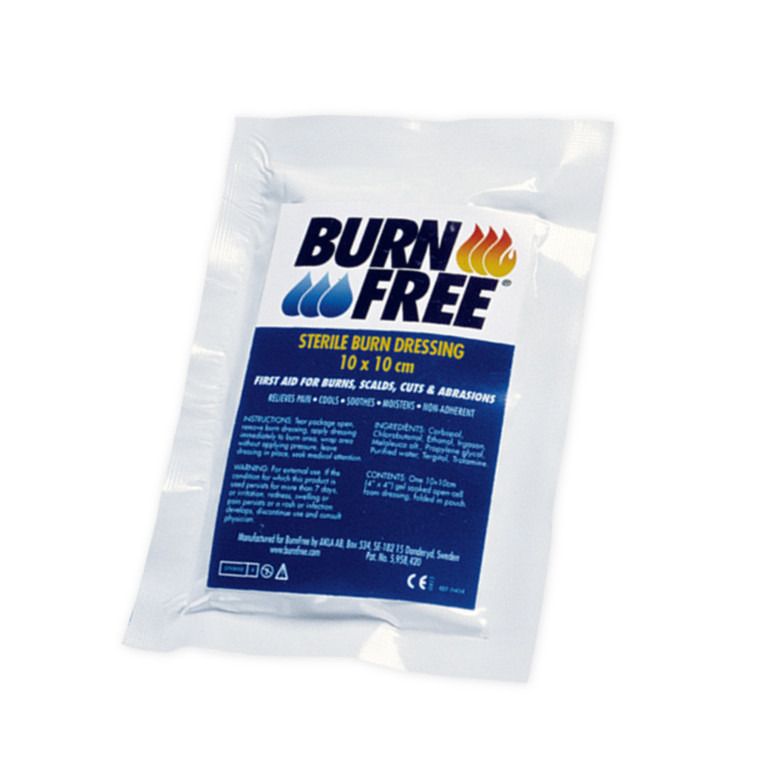 The BurnFree gel is suitable for minor and major injury treatment before using BurnFree sterile dressing. The Gel also relieves pain from insect stings and facilitates irritation. Apply the gel to the area of the injury without rubbing and leave it in place for at least 30 minutes. The gel is easy to rinse off with water if necessary. The gel is intended for the first aid of burns, not for treatment of old injuries; speed in first aid is extremely important. 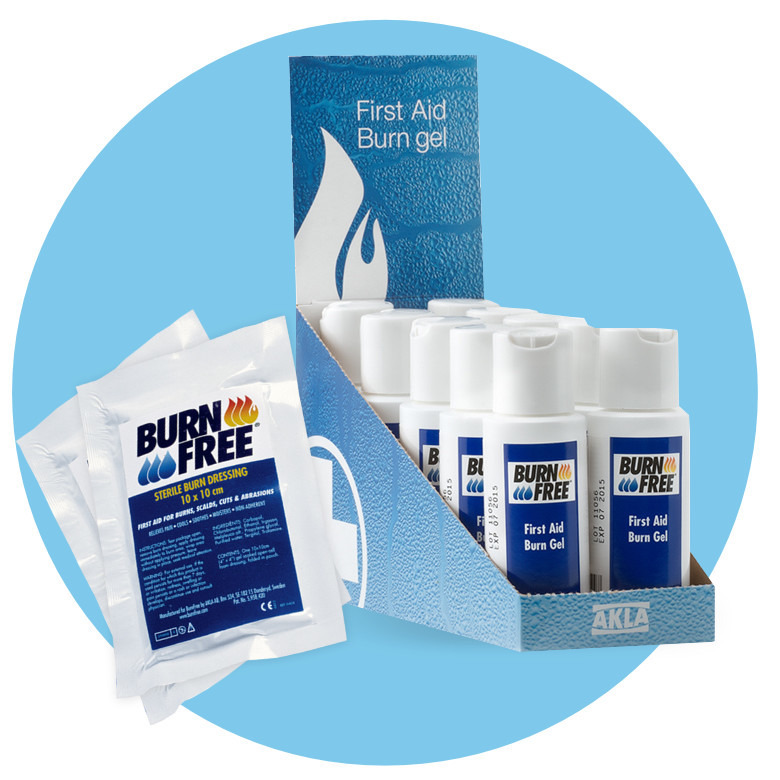 Always keep BurnFree products available, so that injuries can be treated as quickly as possible. 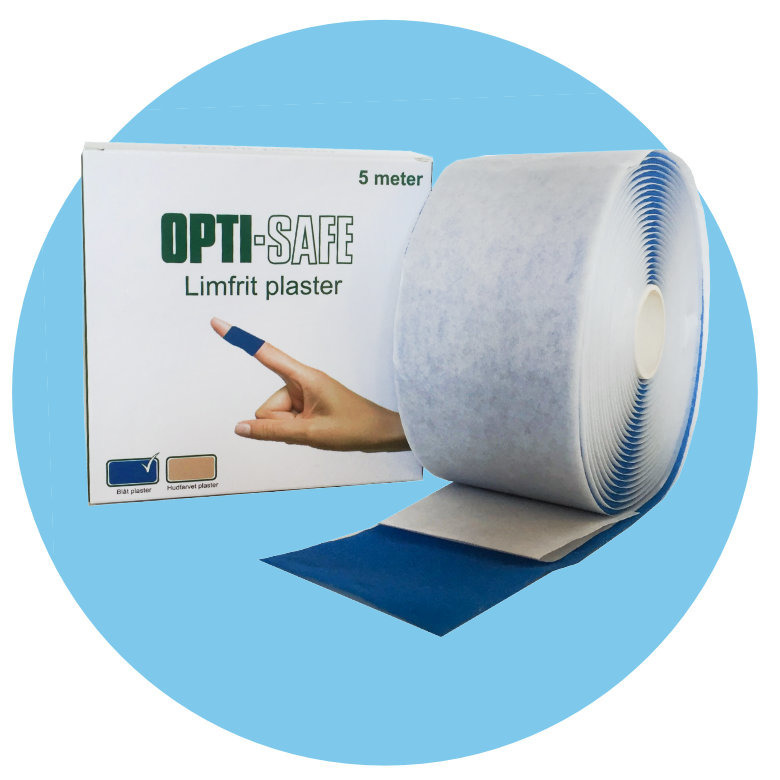 Sterile dressing helps cover, protect and treat! 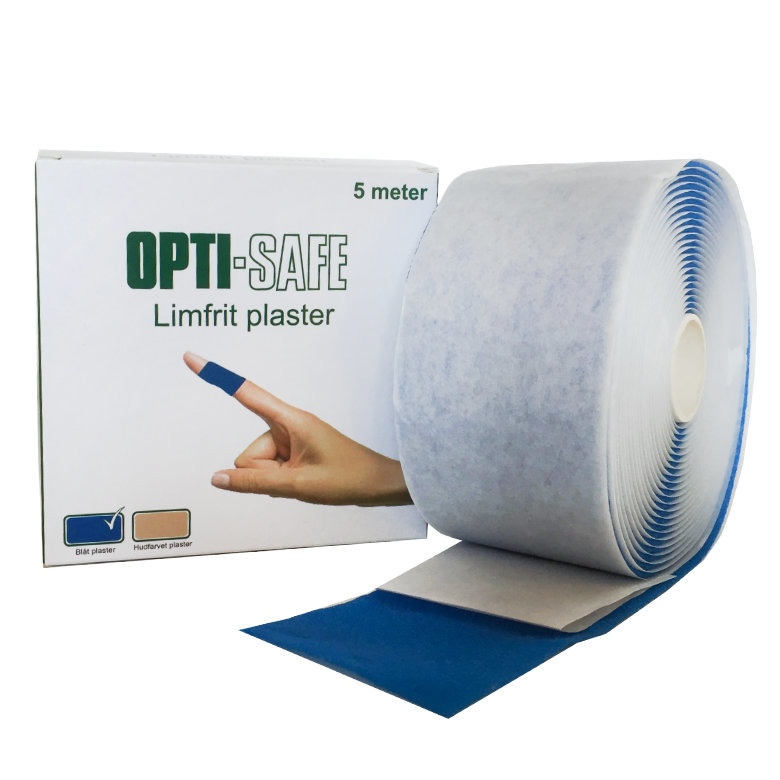 The dressing made of special soft foam material saturated with BurnFree gel treats the wound, accelerates healing, relieves pain and protects the wound from infection. The dressing is easy to remove and does not stick to the wound.